Ashley must solve the mystery to save the reputation of her nascent business. She is thrust into the lives of people from her past who all have something to hide. Is the murderer a jealous lover? An out-of-towner with business interests? A local hero turned criminal? Teaming up with her old friend Ryan and her loyal dog Dizzy, Ashley sets out to solve the crime. 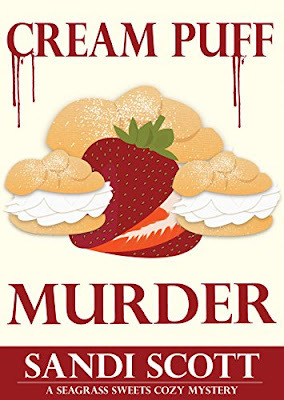 Will she be able to solve the murder before her business reputation is completely ruined? 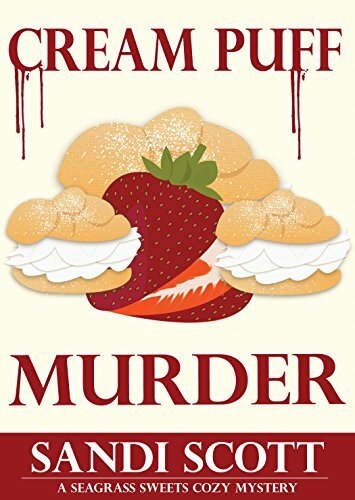 I really loved this fun, cosy mystery. It's a cute story with very likeable characters including Dizzy, the dog, who was a very cute and helpful friend to have along on the investigation. There is a great bunch of characters in this gossipy, little town. I found it very interesting that Ashley followed a different career path before she took up catering. Her contacts and experience in the tech industry really come in handy. It was also refreshing to see that the love interest wasn't the usual police detective typical of the genre. I'm hoping that there's more to Ryan than just good computer skills. I really liked the sweet ending and I'm looking forward to reading where their budding romance leads them. I was very intrigued with the whole mystery and there were plenty of twists and red herrings along the way to keep me guessing. The scene is set now for further adventures and I can't wait to see happens next in this series. This is definitely a cosy series I'll be following and adding to my auto buy list. Book 2 will be out later this month.